The biggest one of these by far is when a customer has to make more than one contact with your company to fix their issue. The corollary being that, in an ideal world, you would resolve every issue in your first contact with the customer; otherwise known as First Contact Resolution. The big problem, however, especially when providing online support, is that customers just don’t write very good support requests (sorry customers!). But who can really blame them? The last thing they want to spend their time doing is perfectly outlining a problem that they’re only experiencing because your software or service isn’t doing what it’s supposed to do. All they want is to get their issue resolved as quickly as possible so that they can get back to what they were trying to do in the first place. Ultimately, it’s up to you to remove this burden from the customer and try to figure out their problem with whatever information they provide. 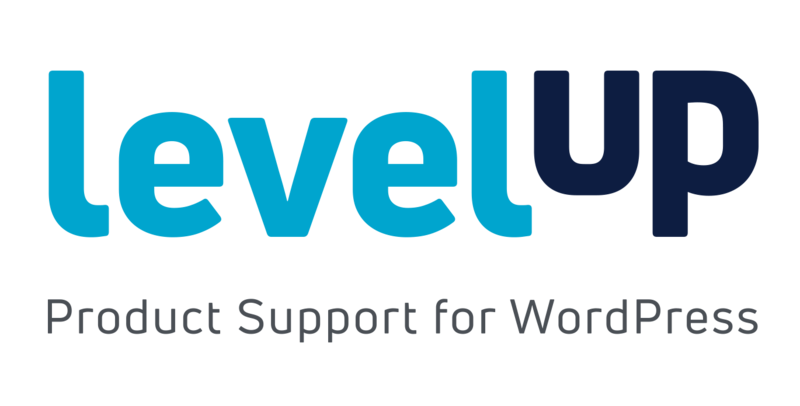 Here’s how we handle this sort of scenario, while providing WordPress customer support, at LevelUp. This is pretty vague to say the least (and not uncommon in the world of WordPress product support). So, what’s the best way to approach this? Even better, why not just make this a canned response that you use for all situations like this? Surely that’s going save time and will be the the most efficient way of handling this type of scenario. Unfortunately, there are a number of good reasons why this quick and easy tactic is not a good approach and they all come down to the amount of customer effort involved. 1. There's no chance of First Contact Resolution. There is absolutely no attempt to resolve the issue in the first reply (First Contact Resolution), which inevitably leads to at least a second contact from the customer (more customer effort!). And since it has been shown that taking more than one contact to resolve an issue is the biggest driver of disloyalty for any customer service interaction, this is something to try to avoid. 2. There's greater chance that a third or fourth contact will be necessary. We haven’t been specific about the information that we need from the customer, which means that in addition to a second contact, there is a high likelihood of a third, and possibly, fourth contact (much more customer effort!). Remember - the customer isn’t a support expert and doesn’t necessarily know all the right information to include in their message to us. If we aren’t specific about what we need, there’s likely to be multiple back and forths. Given that each additional contact that a customer has to make significantly increases the likelihood that they will become disloyal, this is absolutely something we want to avoid. 3. The burden is being put back on the customer. This kind of response simply shifts the burden back onto the customer's shoulders. Now they’re going to have to spend time and energy, which they’d most likely prefer to spend on something else, trying to think of how to best explain the issue so that we will understand. 4. No real progress is made. Potentially hours have passed by the time this reply has been sent and then read by the customer and it will seem to them that zero progress has been made on the issue, since our vague reply doesn’t really get us beyond the first step. There's likely to be a perception that we haven't even properly looked at the issue. 5. The customer will feel they are repeating information. Even though for us it seems like the customer has been vague in their message, from the customer’s point of view, they already feel they’ve given us enough information to go on, otherwise they wouldn't have sent the message. Going back to them with a vague request for more information is going to leave them frustrated and it will make them feel as if they are repeating information. Research has shown that having to repeat the same information more than once is the third biggest driver of disloyalty for any customer service interaction. So, taking the above problems into account, what’s the best way forward? This brings us to our first principle. How can we apply this using our example above? Well, we already know that the customer is using an opt-in form plugin and so we have a big clue to begin with. Being a detective means logging into their website (as long as they have provided permission and access details) and trying to figure out which opt-in form isn’t working. Even if they have ten opt-in forms set up, test each one of them to see how they look on a page they’re set to display on. Check to see if there are any problems with them loading or how they are being displayed. Even with ten forms, it would still be a fairly quick check and might give you the answer you’re looking for straight away. Also, since we’re experts in WordPress customer support, we have in-depth knowledge of the WordPress platform and the plugin that the customer is using, and so we can take a quick look at the settings to make sure nothing immediately stands out as being set up incorrectly. It could be something as simple as a page being set to a full width template (no sidebar) and the opt-in form is set to display in the sidebar. In a lot of cases, even when we only have a very vague understanding of the customer’s issue, we can use our extensive knowledge of WordPress and the plugin that we’re providing support for, to figure out what the exact problem is. Then we can offer the solution in our first reply (First Contact Resolution). But what happens if we take that extra time to carry out our detective work and still can’t figure out what the customer’s problem actually is? Haven’t we just wasted our own time, and more importantly, the customer’s time? lead to higher probability that a third or fourth contact from the customer will be necessary. put the burden back onto the customer to spend time and energy thinking about how to explain the issue to us. lead to a perception that zero progress has been made, despite potentially hours having passed. increase the risk that the customer will feel that they are having to repeat information. We’re the experts in WordPress customer support, and so we know exactly what information we’re going to need to get to the bottom of the customer’s issue. That means we should take on the burden and set the customer up so that they can give us all the relevant details we need without them having to think too much about it. I’m sorry to hear about the difficulty your having with our plugin. I can see this is urgent due to it being one of your client’s websites and so I’ll do my absolute best to help get this resolved as soon as possible. I have logged into your website and I can see that you have a number of different opt-in forms set up. I tested each one on a random page that each form was set to appear on and upon looking at each one, I couldn’t see any issues. I also had a quick look at your settings for the plugin and was unable to see anything out of the ordinary. One quick fix for this might be to clear your browser cache (or access the opt-in form via an incognito browser). Sometimes if you have made a change to your website, you might still be looking at a cached version, which can make it seem that things are not working as they should be. If you have already cleared your browser cache and the issue persists, I’ll need some additional details from you so that I can replicate and isolate the issue and get this fixed for you as soon as possible. If you could answer any of the following, this will help us figure it out. Is the problem with a specific form or is it being experienced with all of your forms? If it is for a specific form, please could you let me know the name or ID of the problematic form? Is the problem that the form isn’t displaying at all? Or, is it displaying but it looks broken or different to what you expect? If it is displaying broken or different to what you expect, please could you provide a screenshot of it? Does this happen on a specific page or does it happen on every page that your forms are set to load on? If this is for a specific page, please could you provide the URL of that page? Now, you might look at that and despair at such a long list of questions. Surely this is going to be more effort for the customer! Not quite - remember, we’re trying to resolve the customer’s issue in as few back and forths and in as little time as possible. The questions above are very specific (and should be fairly straight-forward to answer) and, in most cases, the answers will give us the exact information that we need to isolate and solve the problem in the very next reply. We have even included a potential fix for the issue - asking the customer to clear their browser cache, which is quite a common pitfall for many WordPress website owners. So that First Contact Resolution is still on the table. Demonstrating advocacy for the customer means to show that we are on their side. It’s not enough that we want the customer to succeed (which of course we do), we have to make an effort to actually show the customer that we want them to succeed. This does something very important - it reduces the amount of effort that a customer feels they have had to exert to get an issue resolved, otherwise known as Perceived Customer Effort. Did you know that only one third of reported customer effort is based on the actual effort that the customer had to exert? The other two thirds are down to how much effort the customer feels they had to exert. This phenomenon is known as Perceived Customer Effort and it’s tricky to deal with because it can’t be improved by simply making the process more efficient or easier for the customer. Even if you have the most efficient customer support process in place, it’s still possible for a customer to perceive that they have exerted a high amount of effort in having to deal with the situation. There are a number of ways to improve Perceived Customer Effort, which we outline in our Support Philosophy. One of these ways is to Advocate For The Customer. In our example reply above, let’s look at the ways that we demonstrate advocacy. First of all, we empathise with the difficult situation that the customer is going through and by showing that we understand the urgency of the issue, due to the fact that it is a client’s website that is experiencing the problem. Demonstrating that we have taken the time to fully comprehend the customer’s situation will affirm that we are on their side. We also explain what checks we have done so far in order to try to replicate the issue. By doing this, the customer can see that we have taken the time to investigate and try and figure out what’s going on. This is another signal that we are working on the side of the customer to help them as much as possible. Finally, we re-affirm the fact that our team of experts are on hand to solve the issue as soon as we have the requested information. It would be possible, of course, to have empathy for the customer's situation and to have gone through all the checks that we mentioned, without actually letting the customer know this. And while it's important that these things are happening in the background, if we don't actively demonstrate it to the customer, they are going to be left in the dark, wondering if their issue is really being taken as seriously at all. Demonstrating advocacy like this will make the customer feel secure in the knowledge that they are being well looked after and their issue is being taken seriously, thereby, making them feel that they are having to exert less effort to get their issue resolved. Ultimately, it comes down this - making the extra effort on our side, and by taking the burden away from the customer, we can significantly reduce customer effort, thereby, significantly reducing the likelihood that customers will become disloyal. When customers have to make more than one contact to resolve their issue, it is the biggest driver of disloyalty in any customer service interaction. When a customer's support request is vague (and sometimes cryptic), instead of going back with a vague response, asking for clarification, you should Be a Detective and try to do a bit of investigation to see if you can resolve the issue in the first reply. When it’s not possible to resolve the issue in the first reply, you can use the findings from your detective work to Ask For Clarification Effortlessly. This will reduce the likelihood that a third or fourth contact will be required, due to the specificity of the questions that you can ask. Asking for clarification effortlessly will also reduce the likelihood of the customer feeling that they are having to Repeat Information (the third biggest driver of disloyalty in any customer service interaction). Wherever possible, Advocate For The Customer by demonstrating that you are on their side, understand their situation and are as keen as they are to get their issue resolved. Advocacy has been shown to reduce Perceived Customer Effort and will contribute to a lower likelihood of customer disloyalty. Arron is a Co-Founder of LevelUp and is serious about making customers' lives easier. He's also keenly interested in self-development and how, with the right kind of practice, it's possible to greatly improve any skill that one might want to. His current focus for self-development is Yoga, but it's early days and his downward facing dog still needs a lot of work!